What are Year 12 Revision Seminars? Adelaide Tuition Centre’s Revision Seminars are Year 12 revision courses held in in the Term 1, 2 and 3 school holidays at St. Aloysius College. Each seminar summarises important theory, key concepts and practical skills essential to a wide variety of Year 12 SACE subjects. Each three-hour session focuses on reviewing all key aspects of theory, and includes individual discussion and practical problem-solving. Students are also provided with exclusive seminar notes, designed by Essentials authors and expert teachers. We established the first Year 12 seminars in 1986 and have helped more than 45,000 students achieve their personal best. We give you the flexibility to pick and choose the sessions that are most relevant to you, saving you valuable time and money. Our classes are sorted according to student grades, so all students are learning at the same level. Never feel embarrassed to ask questions. Our class sizes are just that: class sized. We don’t run lectures in halls with hundreds of students sitting and ‘listening’. Our group sizes range from 5 to 18 students so you get the attention you need. Average improvement is consistently between 10–14% per subject for all students of all ability levels. Each year since 1986, students from our Year 12 Revision Seminars have achieved perfect scores in all of their subjects or been awarded subject medals. When will seminars run in 2019? Seminars run in the Term 1, Term 2 and Term 3 holidays. As the year progresses, new sessions and subjects are added. The Term 1 seminars take place only in the first week of the school holidays; in Terms 2 and 3, the seminars run over both weeks, with lots of timetable options for a flexible program. Monday to Saturday, October 7 to 12. Bookings open approximately 10 weeks before seminars begin (usually Week 1 or 2 of the relevant Term). Where are our seminars held? All Year 12 Revision Seminars are held at St. Aloysius College. Enter via 38 Angas Street. 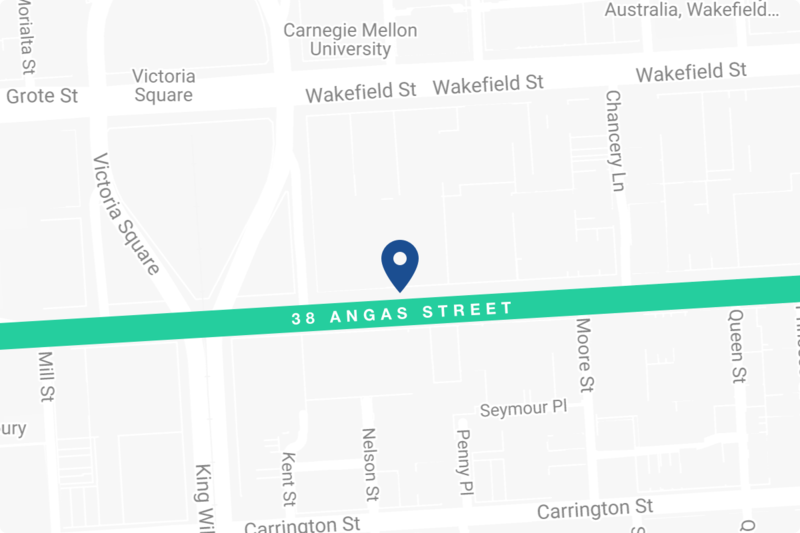 The seminar venue cannot be reached via the school’s Wakefield Street entrance, only via Angas Street. Please note that bookings cannot be made through St. Aloysius College. Parking in the city can get expensive. If possible, you may wish to consider using public transport, or driving to a park-and-ride. Bookings can be made online or over the phone (08 8241 5568). Timetables are released approximately 10 weeks before the seminars are due to begin, and we always offer early bird discounts to students who book well in advance. I’m a teacher. Can I book seminars for my students? Schools are invited to contact Adelaide Tuition Centre directly to arrange group bookings. Please phone (08) 8241 5568 or email seminars@adelaidetuition.com.au. Discounts are available for school bookings, provided bookings are made before the early bird cut-off date. When will the timetables be released? The Year 12 Revision Seminar timetables are usually confirmed approximately 10 weeks before the seminars are due to begin. The timetables are published online first, and then circulated to schools via printed booklets in Week 5 of term. To be the first to find out about the seminars – as well as discounts, special offers and book deals – sign up to our newsletter here. Can I be in the same class as my friend? If you and your friend have the same grades, then you will likely be placed in their class by default. Don’t change your grades to match your friend’s, as you will get more out of the sessions that are tailored to you. If you want to make sure you and your friend are together, call 08 8241 5568 before your classes start, and we’ll do our best to put you in the same class. Please note: classes cannot be changed on the day, so make sure you contact us in advance.